A new Administration through budget and policy initiatives will soon impact emergency management and homeland security priorities. We must consider what we can support, and how best to oppose and amend what we regard as unwise or unjust. 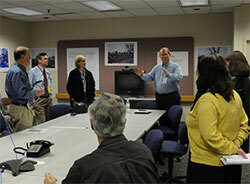 It is emergency management’s responsibility: we are the nation’s subject matter experts. Emergency managers, current and future, and those charged with preparing them for the challenges to our profession that lie ahead are in a holding pattern as this is written. We know little about how FEMA will be managed in the Trump Administration, who will lead it, and what marching orders from DHS and the White House the new FEMA administrator will receive. When new administrations seek funding for its priorities, existing, worthy programs may become vulnerable to new initiatives. Those programs may be pitted against each other. We’ve been down this road before, in defense of the Emergency Management Performance Grant , (EMPG) program and the National Earthquake Hazard Reduction program, to name a few. Emergency management associations satisfactorily answered the challenging questions posed by Congress and the Administration: Why should the feds pay for disasters, and why do they cost so much? What are the states and locals doing to support their emergency management programs with their general fund dollars? Are there too many Presidential disaster declarations? There may emerge new questions about the relative importance of prioritizing federal resources for natural hazards as opposed to homeland security concerns. This is no time to be shy in expressing values, principles and desired outcomes during policy and budget battles ahead. In 20 1/2 years as a local and state emergency management director, capped by 21 months as President of the National Emergency Management Association during crucial and decisive EMPG funding battles, I found very responsive members of Congress on both sides of the aisle. Neither “side” possessed perfect wisdom on emergency management. Reasoned, fact-centered presentations were well-received; a unified emergency management community has a powerful voice. Timidity, which characterized the original reaction of our profession to the post 9/11 era was ineffective: only when we developed solid, fact-based responses to the questions of Congress did we achieve success. Long ago, I realized that the way to resolve conflicts is to identify values, principles and outcomes that opposing parties share; and provide a common platform for a meeting of the minds. In our nation we once called that “compromise.” Sadly that word has become an epithet in Congress and in much of our nation. Initial actions of the Trump Administration are not revolving around emergency management funding issues related to natural hazards, although homeland security is invoked with respect to immigration policy, with divisive impact thus far. 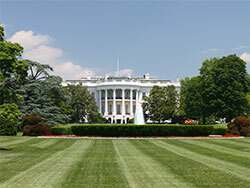 As the new direction unfolds, this blog will review the implications of the policies of the Trump Administration’s personnel, policy and budget choices. Those currently in the EM field and those studying to enter it will need to understand how the new regime will affect our profession going forward.